The first Human Cell Atlas study of early pregnancy in humans has shown how the function of the maternal immune system is affected by cells from the developing placenta. Researchers from the Wellcome Sanger Institute, Newcastle University and University of Cambridge used genomics and bioinformatics approaches to map over 70,000 single cells at the junction of the uterus and placenta. This revealed how the cells talk to each other to modify the immune response and enable the pregnancy. The fetus creates a placenta that surrounds it in the uterus to provide nutrients and oxygen. This is in contact with the mother where it implants into the lining of the uterus—known as the decidua—to create a good blood supply for the placenta. Research on the interface between mother and fetus could help answer many vital questions, including how the mother’s immune system is modified to allow both mother and the developing fetus to coexist. However, until now this area has not been well studied. Using microscopy-based methods the researchers were also able to pinpoint the location of new cell states in the different layers of the decidua. 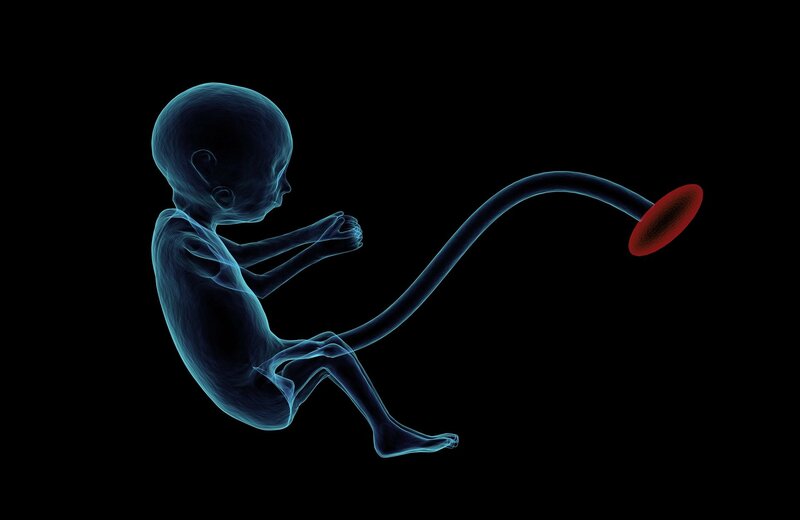 They saw how the biological blocks of the placenta—called trophoblast cells—invade into the lining of the mother’s uterus and cause the tissue to change structure, creating the blood supply for the developing fetus.